Morning Bloggers, lots of exciting things happening in the yarn world here but more on that later. First let’s take a look at any finishes that have happened from last week. The first complete item is Flora McBunny. She had her debut post on the blog on Friday. You can read all about her here but just because I love her so much here is another pic, do check out her story though. The other items finished are the first two designs I have for cloths. I am giving you all a sneaky peek at them. 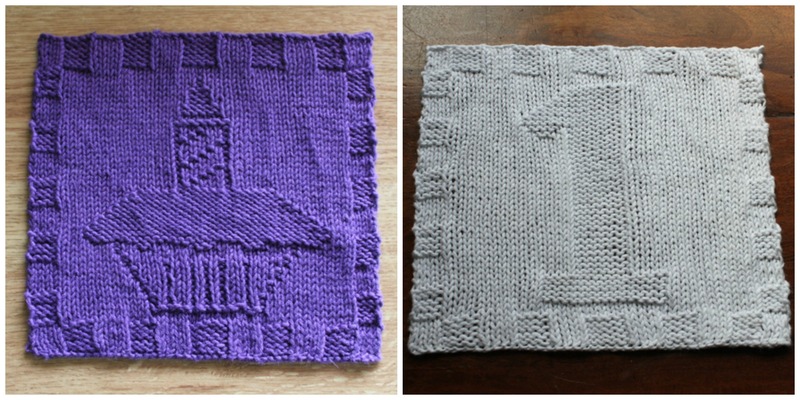 The patterns I am hoping will be ready for publishing this week and they will be free on my Ravelry account. I have hymmmed and hawwwed over whether to include a chart or not. You know I mentioned I hate reading charts, well it seems I design in charts ! Weird I know but there you go lol. I have just completed on paper a design for another cloth and a cowl. The cowl I’m extremely excited about and can’t wait to work it up. Designing was not part of my yop year and I’m not sure how or why I’ve started ! Anyway sorry I digress the cloths, these are inspired by Lady Evelyn’s upcoming first birthday by the way. It is still at the same stage as on Wednesday but that is mainly because for the last three evenings I’ve been working on Soul Mate my Kindred Spirit shawl for Sarah’s Boo KAL. This is now as far as 10 pattern repeats. The pattern calls for 12 but I may do more. 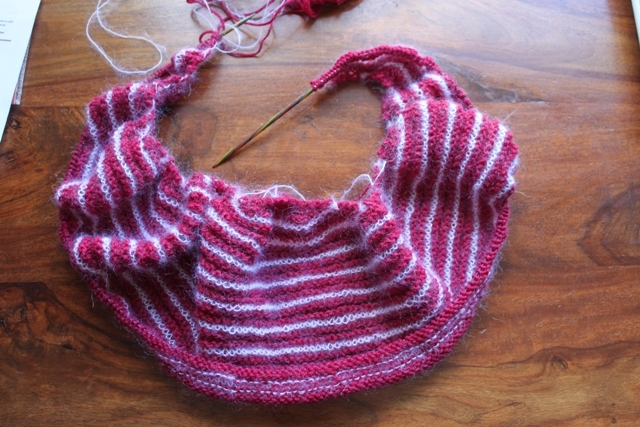 The making of this shawl I suspect will be as ever in the blocking. I’m loving the alpaca and just can’t wait to use more of it but the mohair, well lets just say it’s not a total favourite ! You see Flora McBunny there, well she is a bunny by the wonderful Josephine Wu and she allows you to sell the bunny’s you make from her pattern. She says you put so much work into them that why not. Well she’s right they are time consuming but in a great way and look at what you get ! My friends on facebook have seen Flora and want some so I now have orders for her including a boy version ! for items I can make and sell. I’m very nervous and excited about it at the same time. I may never do much more on it but it is still quite thrilling. So for the next week I’ll be continuing to work on the shawl and the milo and the orders, but do check back for wip’s as you just never know lol. This week James also has his two induction days for his start of Secondary school, this is the school he will attend until he does his Leaving Cert the results of which will then hopefully allow him to go onto college. Very exciting stuff and he’s looking forward to it ! Here anyway is the list with as ever the links to the project pages. This entry was posted in Crochet, Knitting, Year of projects and tagged Cornflower Milo, Flora McBunny, knitting, Ravelry., Soul Mate. Bookmark the permalink. The bunny is adorable! 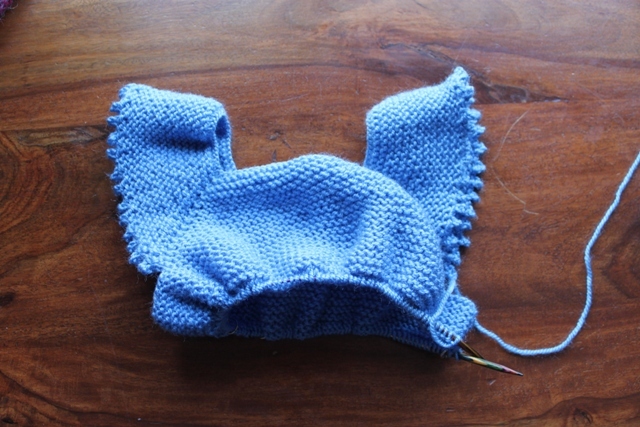 I think charts are much easier to proofread (and to follow when knitting but that is me) since they are visual, such as the design of knitting. Flora is entirely adorable and definitely deserved more pictures! Good luck on your business venture, too! Flora is gorgeous – congratulations on all of the orders and the start of a lovely business. Flora’s lovely. Your cloths look great. I prefer charted instructions myself … much easier to visualize the piece and tell if you’ve gone wrong. Oh my you’ve gotten so much done just this year alone! I love the bunny….so sweet!!!! You did a beautiful job on her. I love the shawl..I thought it was angora as it looks so pretty but sorry it gave you a hard time. It sure adds to the shawl. I also REALLY love the color of the cornflower milo. That is pure cornflower blue! I just can never get over how much you accomplish. Have a great week and I hope you get lots of sales! I won’t comment on Miss Bunny because she has her own, special post. I love your dish cloths. I love how the cupcake is so largely detailed. Congrats! I like how Josephine Wu let’s you sell. Most designers don’t. However technically…according to the Copyright Rav group you are able to. She is a cutie. Thank you on the cloth. I’ve the pattern written up and some close friends are testing it to make sure I’ve not missed anything. I didn’t know that technically and I find sometimes it is such a grey area. I get where Josephine Wu was coming from in the making of it is fiddly so it is like your own and from a personal point I’d have no problem selling on something from a pattern of mine (lol assuming I had one popular enough ) after all the knitter has put in the time and effort to. Flora might be the cutest thing I have seen in a really long time!!!! Best of luck with the Facebook page. It will be a great adventure. Flora McBunny is completely adorable! I bet she’ll be well loved! And in regards to the designs (which are great by the way), I would publish them as a pattern with both a chart and written instructions, so you’re not ruling anybody out who might want to make them.